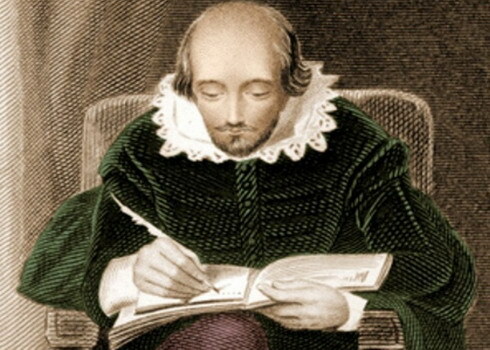 Shakespeare probably didn’t put his work aside when he got a little bit bored or frustrated. One of the more frustrating things I find about being a writer is that so many people do not take my job seriously. A lot of people tend to see creative jobs as “not real jobs.” They see that kind of work as something people do while they’re in between proper adult jobs or something they’ll give up once they finally “grow up.” When you work in something that involves writing, music, visual art, dance, handcrafting, or film, people think you just goof around all day and that you never have the same struggles with your work that everyone else does. I think that this stems from the fact that for most people, creative activities like writing, music, and painting are hobbies, so they don’t see the work in the same way that professionals do. Believe me when I tell you that doing something creative as a job is not the same as doing it as a hobby. Creative professionals are lucky in that they get to do something they’re passionate about for a living. But that doesn’t mean that their jobs are all fun and games. As a creative, there are a lot of parts of the work that are work. Musicians don’t spend all of their time jamming or playing their favourite songs; the practicing process involves a lot of repetition, technique work, and stuff that most people who do it as a hobby generally won’t bother with. If you did piano lessons as a kid, think of the practice work you had to do, times a lot more – that’s what being a musician is like. Musicians do it because they like their work and want to be good at it, but it’s not playtime. In the same vein, the writing process involves a lot of research and review work. Writing a good story is only part of the process. Fiction and non-fiction both require research; there’s always some sort of fact or aspect of the story that involves a bit of digging. Even genres like fantasy and sci-fi draw inspiration from historic events, cultures, and politics. Writers usually add things and subtract things throughout the writing process, and then they go over their pieces again a couple of times to polish it up. I’ve done a quick run-through of this blog entry, and I’m pretty casual about my blog compared to everything else I write. I’m sure there’s something comparable with painting, filmmaking, and stuff like that, but I don’t do any of those things so I don’t know what that thing is. On top of all the more tedious parts of the work, creatives don’t always get to pick and choose which projects they do. In fact, this is often the case, especially at the beginning of their careers. The term “starving artist” isn’t really an exaggeration and it’s hard to make money doing anything remotely creative. Therefore, the criteria for taking on a job are often, “Related to what I do, not soul-sucking, and will pay me.” Most writers don’t get to spend all of their time working on their novels or poetry collections; they have to take on writing for websites, catalogues, or anything else that pays. Musicians may learn a few golden oldies and play wedding gigs, or they might learn a style they wouldn’t normally play so that they can play backup for someone else. The alternative to doing those kinds of things is getting a second job, which is a route that a lot of people take but is one that can be more difficult to juggle with artistic work. Doing anything creative at a professional level also takes years of education and/or training. Many professionals go to college or university to bring their skills up to a certain level, and even those who do not spend years practicing and improving. Many do start off doing what they do as a hobby, but what sets them apart from people who will always do it as a hobby is the amount of time and effort they are willing to spend on improving their work. Almost no one drops everything one day and says, “I’m going to be a writer!” and then magically has full-time writing work. Getting to that level involves years of reading, writing, submitting, rejection, learning, re-writing, and so on. When you get tired of doing your hobby, you can put it down and watch TV. If you get sick of a project, you don’t even have to finish it at all. You can just leave it and go onto the next thing. People who do creative work for a living don’t have this option. There are deadlines to meet, which means that they often have to slug through their work, whether they feel like it or not. If they’re working on their own creative projects, they can ditch them when they don’t work out, but they have to do so knowing that all that time and effort they spent on those projects are gone. This means that, although creative professionals might ditch a project in its early stages, they’ll most likely struggle through the tough stages of an established project, even if those stages drive them crazy. That’s not to say that creative professionals don’t have “pet projects” that they do just for themselves; it’s just that these kinds of projects don’t encompass all of their work. The lucky few (and “few” is almost an understatement here) who are well established in their careers may get to give all of their time and attention to their passion projects, but that’s not business as usual for most people working in the arts. Also, I suspect that even those who are established have to make some compromises in their work; authors must work with editors on their published novels and musicians have to work with record companies, and both of these parties are concerned with balancing what authors/musicians want and what will sell. So, the next time you think people who do creative work don’t have “real jobs” or think that doing something fun should make up for earning fair pay, remember that occasionally writing your fan fiction after work is not the same thing as being a full-time author or that occasionally noodling on your guitar is not the same as being a professional musician. Those jobs are jobs and they deserve the same consideration and respect as any other job.